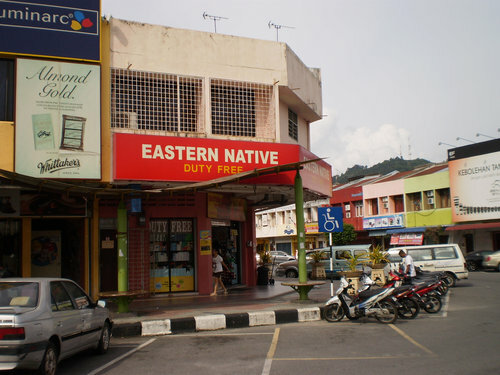 As a tourist, you come to Kuah town essentially for shopping. While there are several other attractions in the town, all take a back seat when compared to the range of attractive duty free & specialized stores and items you get here at a very economical prices. Remember that all stores here are not duty free. 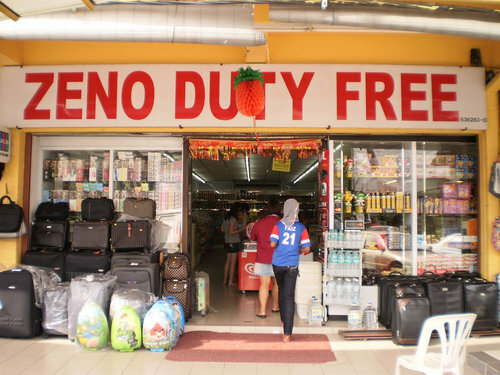 There are over 20 such shops, shopping centers & Supermarkets that offer duty free items in Kuah. Several of them are within the Kuah Town Center and within easy walking distances. For some, you will need a short taxi ride. 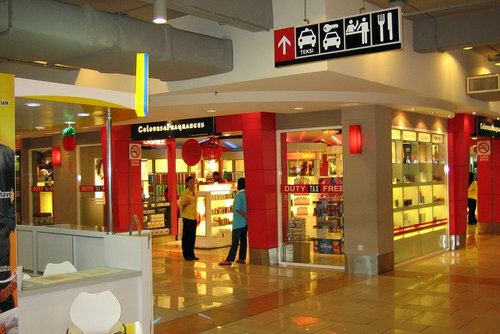 But there are some specialty stores, although not duty free are excellent and offer unique products at reasonably cheap prices. In the section below, I shall discuss the best stores and shopping centers in Kuah - both duty free and non duty free. If you really like to make the best out of shopping in Langkawi, you must budget at least one full day for shopping in Kuah itself. You will get a range of items to shop here at cheap prices. Some of the most popular items sold at attractive prices are chocolates, wine from moderate to finest quality with a range of brands, liquor & cigarettes, perfumes of almost all brands, discounted branded sport shoes, kitchen ware, confectioneries, luggage bags and even spa products. While the super markets and shopping complexes would have multiple stores selling wide range of items, but over time they have made names for themselves in specific types of products they sell for quality & price. So target the stores & malls based on what you plan to buy rather than going around randomly in search of something that you may like. With each of the stores and shopping centers below, I have discussed what their signature products are. They have made a big brand for themselves in chocolates and several other items like kitchen wares, dishes, bags & suitcases, batik printed cloths, towels etc, and they are sold duty free. It started as small business initiated by Haji Ismail bin Haji Ahmad in 1987 and was formally established as a company in January 2005. It still runs as a family business. You will get all varieties of chocolates here of all brands, and they are cheap. You will find brands such as Hershey, Cadbury’s, Ritter Sports, Toblerone and many others. They are cheaper than even the Zon duty free shops that you will find at various places in the island. They have five branches in Kuah Town. All branches stock similar items as mentioned above, except for the branch located at Jalan Pandak Mayah 2 which specializes in chocolates. This is a unique store and thronged by tourists all the time. This is one of the oldest in town and has over 100 stores and a large super market downstairs. There is also a Currency Exchange Center, and several clothing & electronic stores here. This mall once was the most popular duty free shopping center in Kuah. But over time many other shopping complexes and malls have opened up, and as a result several stores here have closed down. Despite that it remains as one of the largest. All stores are not Duty Free. The ones selling chocolates (great collections and cheap), liquor and cigarettes are duty free. There is also a Nike shop offering good discounts on sports shoes, but may not have enough collections. The Duty Free Samudra Departmental store sells a range of cosmetics, perfumes, leather items, sport wear, accessories, confectioneries, liquor and cigarettes. You get real cheap T-shirts here. If you are interested in perfumes & spa products, there are couple of nice shops in the mall. One is Perfume Desire. They have some 200 designer fragrances for both men & women and from brands like Davidoff, Chanel, Elizabeth Arden, Versace, Gucci, Hugo Boss and more. The other is Mountain Scents that offers a range of handmade aromatherapic products including scents and a lot of natural spa products. 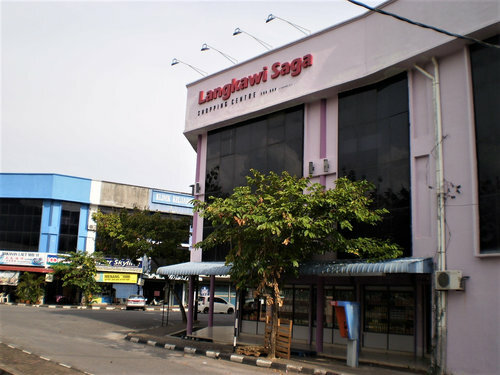 The Langkawi Fair Shopping Mall also has several eateries. There is a Mc Donalds inside and a nice Thai Restaurant at the entrance. This is one of the best stores in the town and located at a place I love, at the corner where two roads meet. This is where you should go if you are looking for branded sports shoes and wears. They have great brands like Nike, Adidas, Puma, Reebok etc for men, women and kids. While you may not get greatest of collections, when you look at the price, it's irresistible. They are really cheap. In fact at any stage you are likely to find a branded pair of good shoes for less than RM100. Sometimes during clearances, you will get items (footwear and apparels) below RM50. They also sell many different kinds of sports apparels, T-shirts and wears. Another duty free shopping complex with wide range of products at attractive prices. This is a family run business which started in a small scale in 1980s and has grown to a large stature over time. Although they have a wide range of items on sale, Saga specializes in Liquor trade. The other great offerings worth looking into are their Kitchenware, Chocolates and Cigarettes. Open Hours: Daily, 10am to 10pm. Address & Contacts: No. 12-21B, Jalan Penarak, Pekan Baru Kuah, 07000 Langkawi. 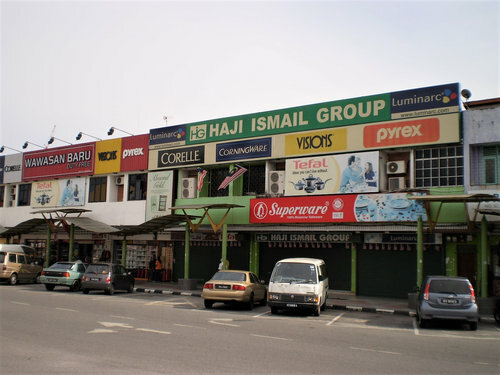 This is a two storey shopping complex located at the entrance of Kuah Jetty. 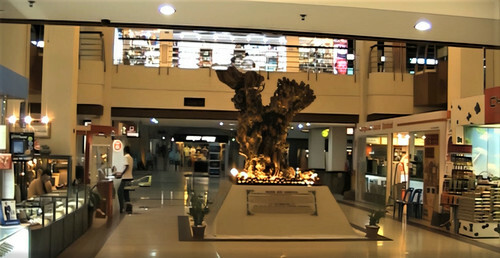 The way the airport offers a convenient duty free shopping for flight passengers, the Jetty Point Shopping Complex is meant mainly for the visitors arriving or leaving by ferry from/to mainland Malaysia or elsewhere. However like the airport, the items here are quite costly, although duty free. There are smaller shops at the ground floor selling items like jewelry, watches, chocolates, souvenir items, sun glasses & spectacles, shoes, small electronic products etc. Other items includes liquor, batik, handicraft items, men's & women's apparels, crystals & glassware, perfumes, confectioneries etc. Even if you don't buy anything from here, the view of the water area from outside with the backdrop of mountains is awesome and makes it worth a visit. There is a restaurant, a fast food center and ample car parking. 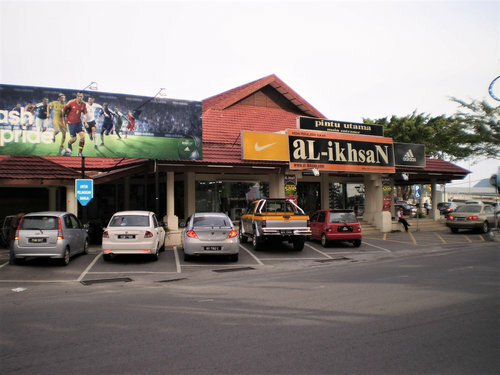 These two duty free stores are located adjacent to each other at the center of Kuah Town. Both sell similar and variety of items. But the main items that you should be targeting here are the chocolates and confectioneries. Zeno and Eastern Native both have a range of chocolates that are sold at very lucrative prices. But do check out the dates particularly when you see tempting offers such as "Buy 2 get 1 free". They offer clearance prices when the shelf life of products like chocolates are nearing end. Both the stores also have nice collections of liquor, particularly whiskey and are sold at very attractive prices. Some of the other items that you will find in Zeno includes cigarettes & cigars, luggage bags, perfumes, garment, kitchenware etc at reasonable prices. 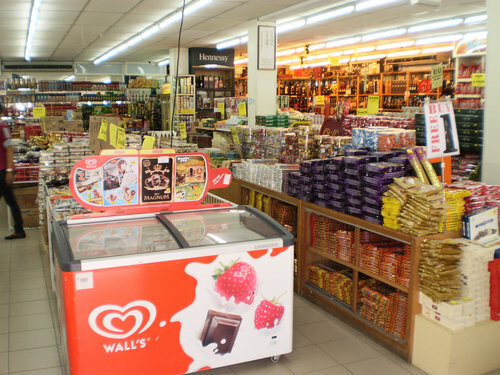 located just outside Kuah town and close to Padang Matsirat, this is a large shopping complex that has a three storey supermarket (Teow Soon Huat) full of departmental stores selling a range of duty free items. This store is very well known for chocolates, liquor, wine, tobacco, perfumes & cosmetics. Several stores here sell men's & women's fashion items & apparels. There are stores selling kids wears and also luggage bags. The prices at the 60 odd stores are very reasonable. The mall also has several restaurants, a multilevel car park, movie theater etc. A place very well known with the locals is Idaman Suri which literally means "Housewife's Desires". This shopping center in a large yellowish building at the corner of a crossing actually caters to virtually all desires that a housewife can have. The cooking & kitchen ware items like pots & pans, cutlery, tea pots & sets have great designs and are very cheap. They sell many other items including chocolates (lots of varieties with a section dedicated for it called 'Choc Stop'), candy, home appliances, furniture and more. 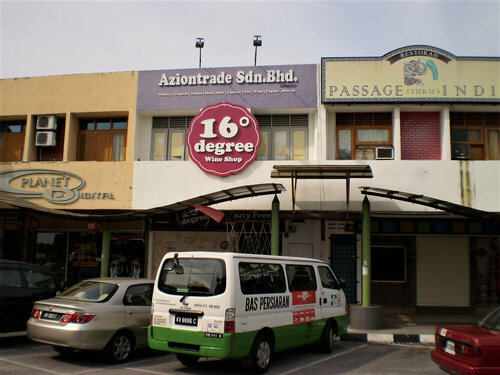 The shopping center is a little away from the town center and you can get to it from the road Jalan Air Hangat (a short taxi ride). They are both whole sellers and retailers of Spa Products in the island. They have a range of spa products in sale... staring from spa massage oil, aromatherapic products, to spa soaps ... plenty of them. 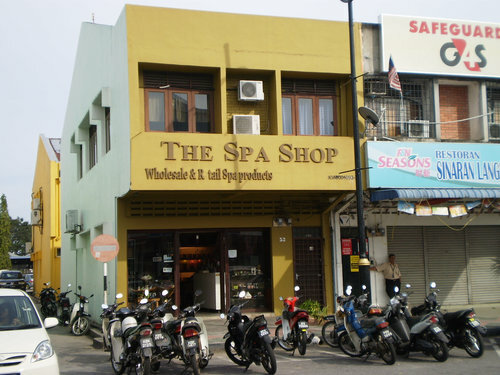 While the various spa centers around the island are their main customers, you can also walk in and buy some products of your interest and take them back home for self spa therapy treatments and massages. The products are very competitively priced. If you are a wine lover, this is the place to go. They have great selections of wine from all over the world. Although not a Duty Free shop, they still have many brands that are quite reasonably priced like Coohawarra, Wolf Blass etc. If you are a cigar person, then this is the place to go. This is a duty free shop and the first concept store in the island selling cigars and tobacco products. Their products include cigars from Cuba, Latin America & other places, pipes, cigarettes, tobacco and accessories. Other than authentic Cuban cigars, you will get a variety of flavored cigars here as well. They also have a small cigar smoking room where you can enjoy your cigars. The shop owner is in no rush and you can take all your time to scan the store or have your smoke. Very reasonably priced store selling men's and women's wears. You won't find any big brands here. These are all locally made clothing and dress materials. The store is nice and comfortable and staffs are quite friendly. This is a good place to buy Batik Jawa items ... lots of varieties and collections. You will also get great collections of round neck T-shirts with Langkawi's emblem on them and reasonably priced. Other items include linen & cotton made shirts & blouses. If you are looking for dried fish, then this is the place to come. 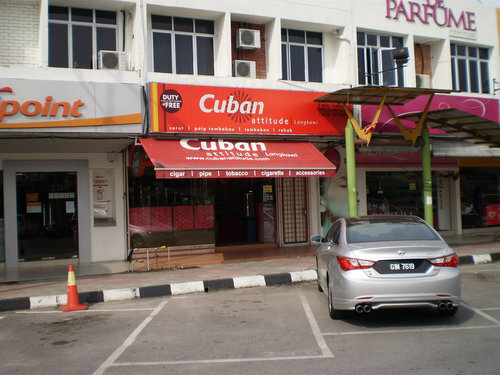 Their main outlet in Kuah is known as Taste Enterprise. They specialize in dried anchovies (ikan bilis). There are different varieties of anchovies sold which may cost from RM15 to RM30 a kg. You can buy in smaller packs as well. The company is a whole seller of dried fish and export to various countries including UK and US. If you are looking for great perfumes, in budget or exclusive brands, Kuah is the main place to get them. While most large shopping centers and malls will have good collections, there are specialized outlets (some even duty free) that offer far wider range of brands and even designer fragrances that are otherwise rare to find. Check out Perfumes & Cosmetics for full info.